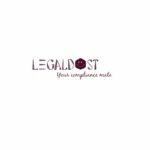 At Legal Dost, we provide a full spectrum of online Private Limited Company Registration Services including Annual Compliance of Private Limited Company, GST Registration, Tax Registration and filings of annual return, Society, Trust Registration, and many more. Our aim is to provide best quality services at affordable prices. Contact with our professional team today with your queries. Mantis & Athinodorou LLC is a forward thinking Paphos Law firm, with a proud legacy. We were established in 1979 by Penelope Athinodorou-Mantis, the first female lawyer in Paphos, Cyprus. Through dedication, hard work and a positive outlook she enabled the firm to become one of the leading and most prominent institutions of its kind.